I'm interested if you'll provide a Teilgutachten for the 740 chassis!!!! A Teilegutachten is never going to happen unfortunately, but a materialgutachten shouldn't be a problem (I'm making them out of S355 steel) and then it should be doable to get it registered with an einzelabnahme as all the other brake components are from already approved production cars. No weird aftermarket racing stuff. Cut up the subframe to make room for the BMW diff. I had to remove quite a bit at the back of the subframe. Then I welded in a support structure to hold the diff in the correct place at the flanges when I make the new mounts. 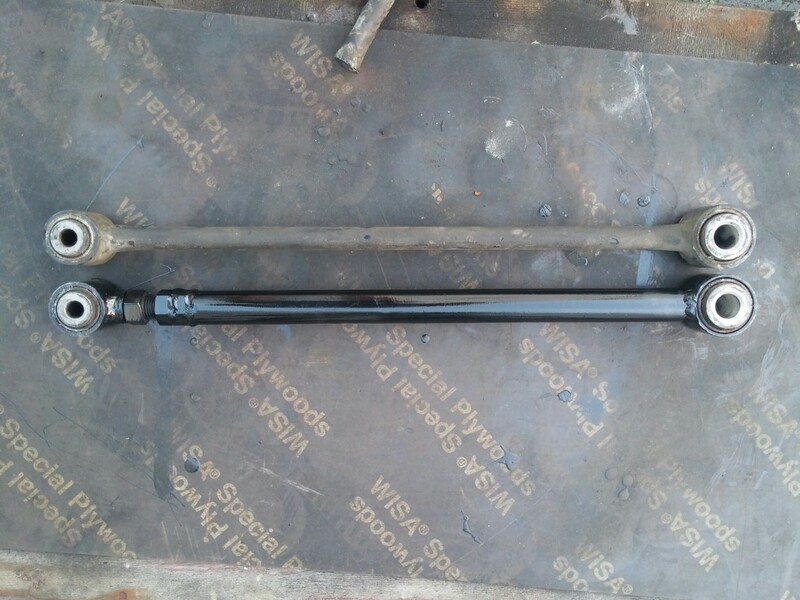 The bottom part of the subframe still needs to be modified because also there the diff is a bit too big. I'll try to keep the fill and drain plugs accessable. I'm planning on making the front mount of the diff adjustable so the pinion angle can be set correctly once it's on the car. To be continued. nice work! any way to flip the intake manifolds around to avoid cutting the throttle bodies out? No that won't work, it's 1 big intake manifold and it slopes down at the front a bit for hood clearance. The bottom part of the subframe is now modded to fit the new diff. I tried to make it look as much as stock as I could. Next up is making the rear 2 mounts and then the front one. Wow, nice. Have been following this since the start, way cool. Finally had some time again to do things. Pretty muhch finished up the rear diff mount. I first had to mod the temporary mounting points a bit as one of the dimensions I used from the old diff was a but off which resulted in the diff sitting slightly too low. Then I made the new support structure and welded in some 12.9 grade bolts from the inside on which the diff sits. I'll have to mod the mounting points for the hand brake cables a bit too I think. The new mounts are in the way. Thanks! I wasn't happy with the fact that after modding it, 2 of the bolts that hold the bottom to the top part of the subframe had no place to go anymore, so that's fixed now too. Still need to weld it properly in place, but I'll do that once the diff is out again. First up is the front mount for the diff but I'm waiting for a rubber bushing I ordered before I can make that. Started making the front mounting point. It's a bit of a puzzle as it's in a completely different location on the BMW diff compared to the Volvo one. I want to have it a little bit adjustable at the front so the correct pinion angle can be set once it's under the car. I decided to cut away the original mount and make something on both the lower part of the subframe and the top part. I started out with the lower part. It's still very much a work in progress. I'll strengthen the lower part a lot once the diff is out again. Amazing what you have achieved sofar, Sander. Admire the way you tackle seemingly invincible obstacles. Front diff mount is now almost finished, boxed up the lower part (still need to make some drain holes so water doesn't collect in it). Then I welded in some pieces with a radius so it mirrors the other side of the hole in the bottom. Top part is in now too, should be enough adjustability like this. Still a bit of welding to do but the basic idea is clear now. Next up, finish the welding, repaint the diff, tidy up the subframe and paint it too and then I can start putting everything back together again to go on the car. Once it´s on the car I´ll figure out a way to add a rear sway bar. 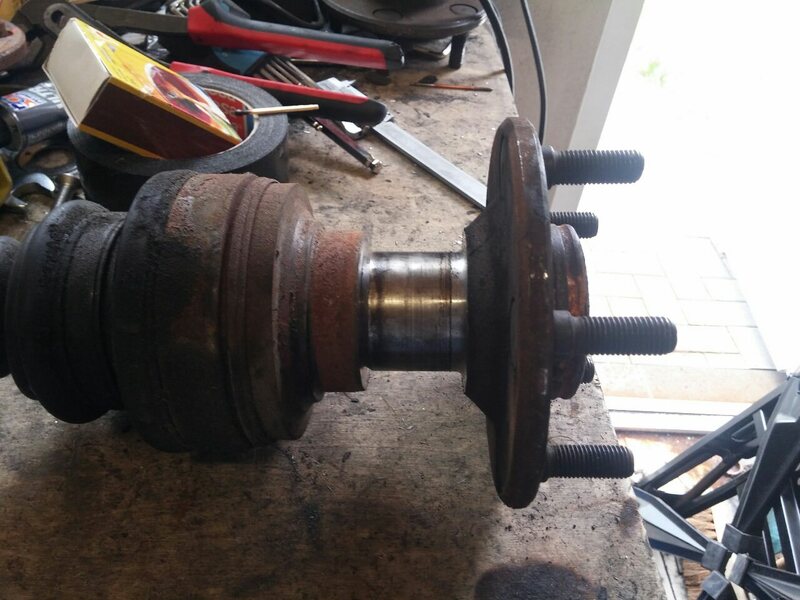 The suspension I got was from a 780 and didn´t have one and I can´t find an original MK1 irs swaybar anywhere. If someone has one laying around, please let me know. Anyway, again more pics of the subframe. The reason I'm doing the rear suspension first is that my working space in the garage is about 2,75m x 2,75m and it's full of suspension parts. Once all that stuff is on the car I'll have more space to work on the rest again. Didn't have a whole lot of time lately, but still got some things done. Lower part of the subframe is now completed and painted (forgot to add 2 drain holes to it in case water comes in, but that I'll fix soon). Also repainted the diff and resealed the diff cover. 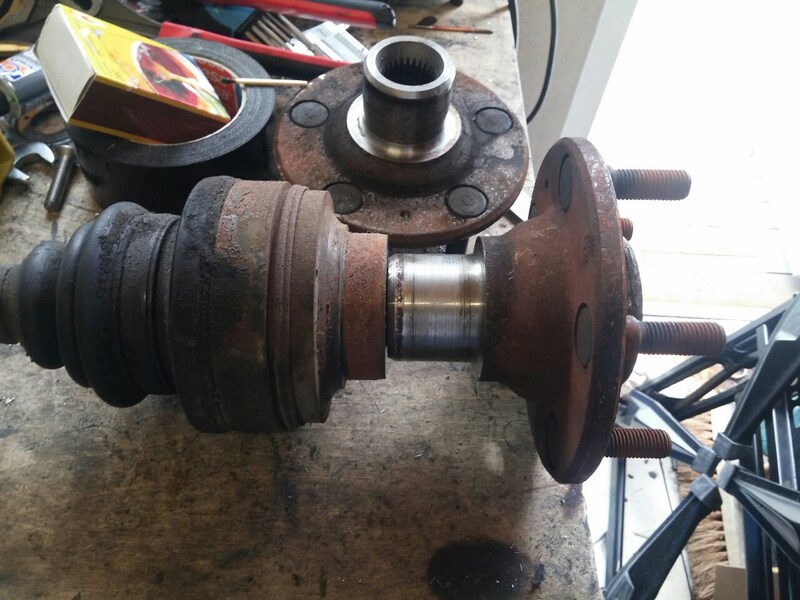 New seals around the axle shafts are still on the way. The top part of the subframe is almost finished now too. Thanks! Top part is painted now too, diff has new seals in it and put everything together. Next up, bolt it on the car. It's painted black first and then with a layer of underbody protection. I want it to be winter proof and the car should be daily-able should I want to at a certain point in the future. Thanks! I've got some unusual plans for the front axle too. 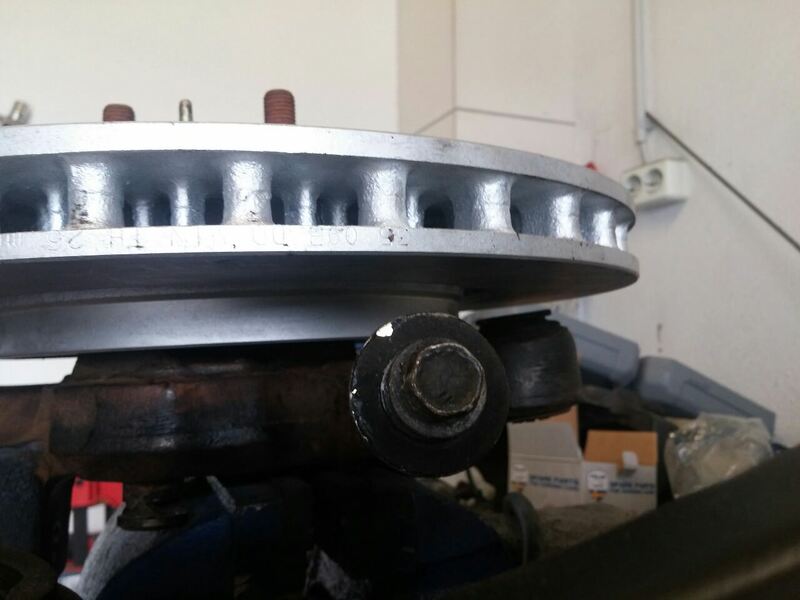 In the meantime, I started on swapping the multilink MK1 hubs for the MK2 ones to get the high wheel offset so the S60R rear brake rotors fit and I can get rid of wheel spacers. 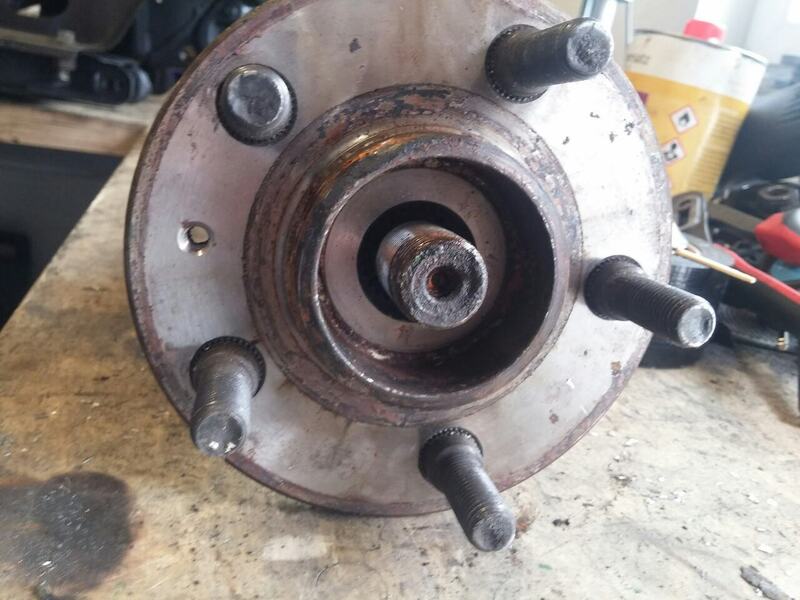 All Volvo did to go from low offset to high offset was change the design of the hub. 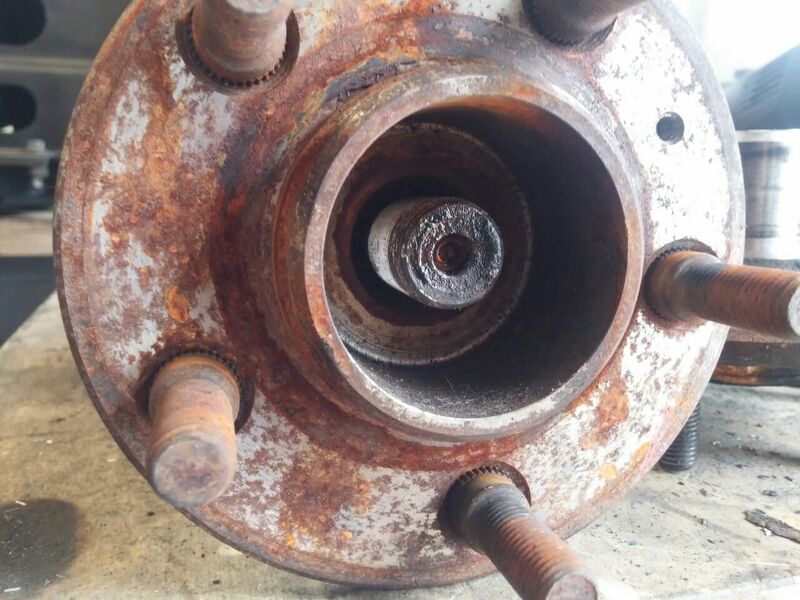 It still uses the same wheel bearings, it just puts the flange further outwards. This project is so full of win! 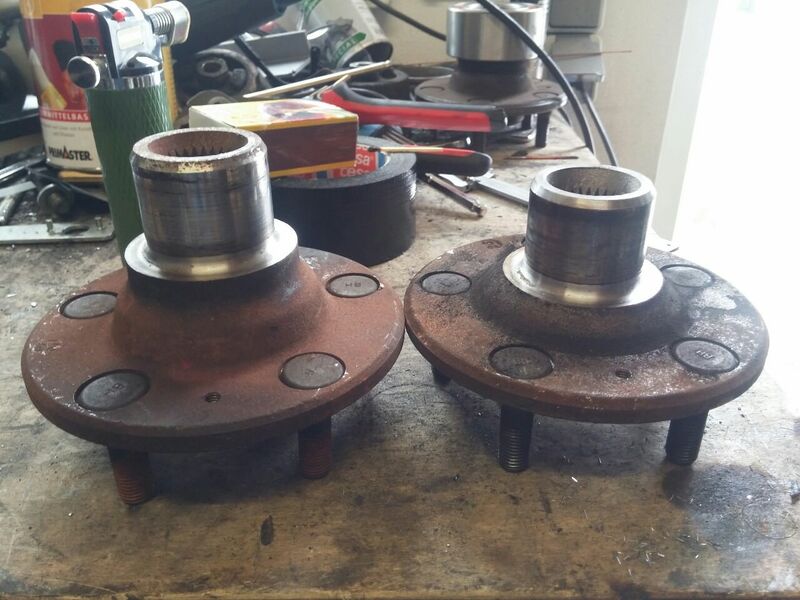 Also: wanna sell the mk1 hubs? Thanks! Sure, I'll sell them. I have no use for them anymore now. In other news, no more spaghetti toe rods! Made them adjustable while I was at it. The original ones are even skinnier than they appear in this pic, they are covered in a thick layer of underbody coat for some reason. 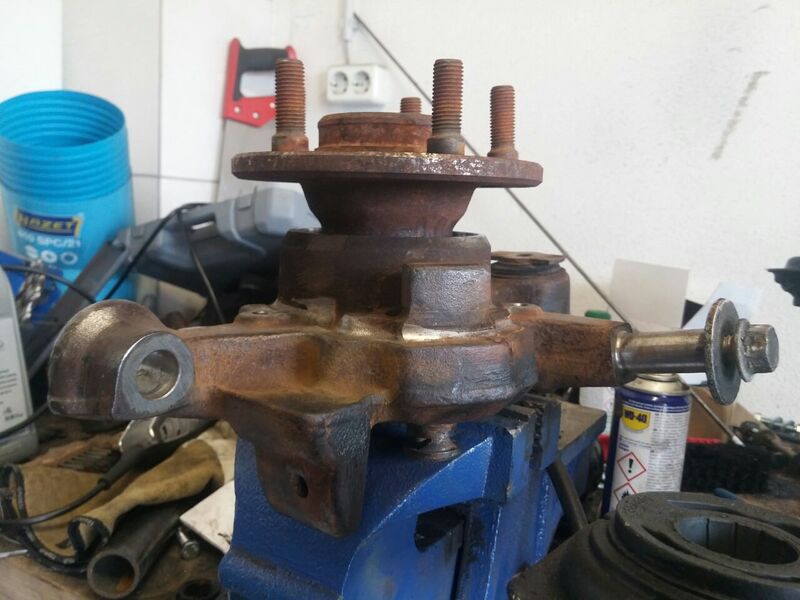 The bushings where still in great shape so no need to replace them. What are you doing for the handbrake? 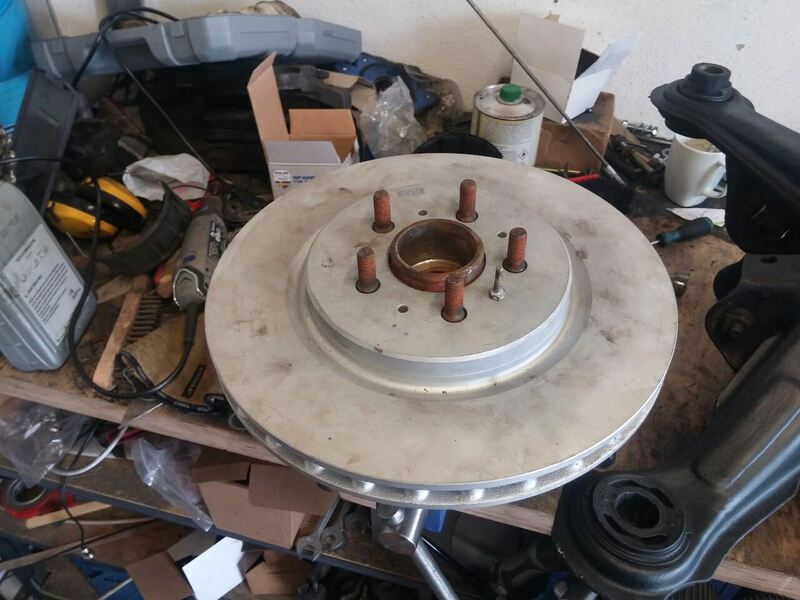 I'm modding some S60 handbrake shoes to fit the IRS hub and handbrake cables, so it'll work the same as the original handbrake but using the S60R rotor drum part. would definitely like some detail on that. I'll post the details here once I get to that part. I've got the whole rear suspension ready now to bolt on the car, just need some time to do it and reasonable weather. Hopefully somewhere next week.